Mobile phones are replacing other devices that until recently were very popular. For example the compact cameras are no longer sold as before because any smartphone is able to compete with them without problems. Another device that is remaining in the background is the classic desktop alarm clock.Many users relegate the alarm-alarm function to their smartphones or even their tablets. Apple has redesigned the Clock app with the arrival of iOS 7 and now offers a cleaner look, with a completely smooth white background, and a slim and stylish typography. The alarm system allows us to choose an hour, if we want the alarm to be repeated several days of the week, we can also name it and of course choose a sound. The offer of melodies is wide, but not all users like to wake up with beeps or polyphonic sounds, but prefer to use a song of their own, we tell you how to get a wall clock from Localcollegeexplorer. As we said, there is no comparison between waking up with an alarm sound to do with our favorite song, that’s no doubt-although there are tastes of all kinds. 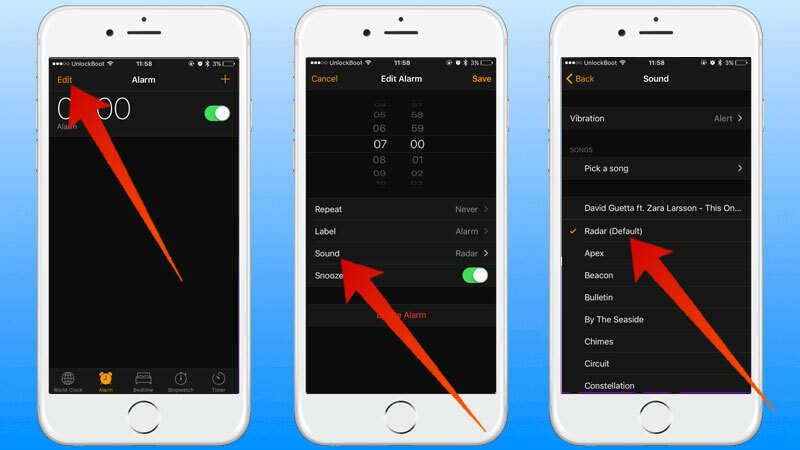 The option to select a song as an alarm tune is not something new in the iPhone and iPad, but we consider it interesting to review the process again to adapt to the new changes that have been made in the Clock application. In our case we have used an iPad mini to perform the process, but it can be done exactly the same on an iPhone. The first thing is toopen the Clock application and go to the section Alarms, where we will find all the alarms that we have configured previously or, if not, we can create a new one. 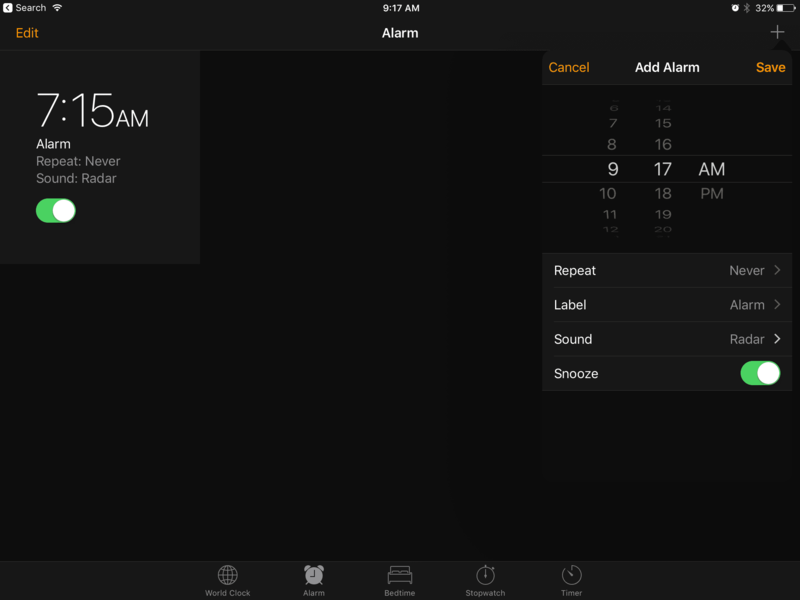 The next thing is to press the Edit button , which is in the upper right corner of the panel, and choose the alarm that we want to edit. Within each alarm we can change the time, decide if it is going to be repeated, put a label or select the sound, the last option is the one that interests us in this case. 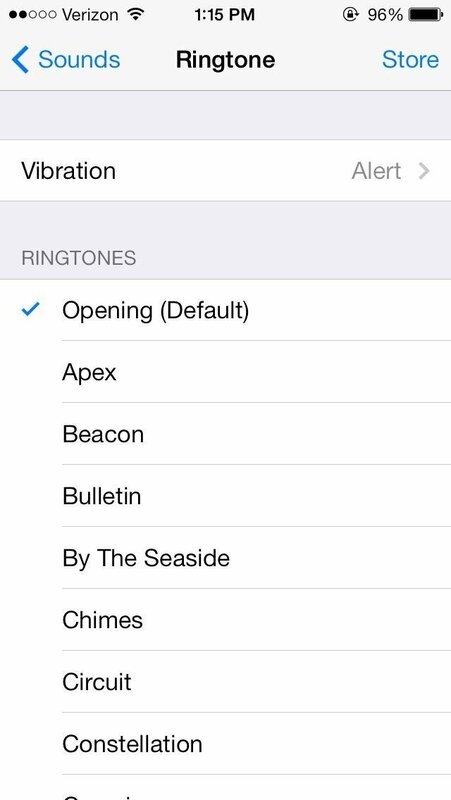 Press on Sound and opens a new screen where we see two different blocks: Songs and Ringtones, we enter the first. At this point the system redirects us to our music library, from where we can find the song that we like the most, click on it and we have configured it as a tone of alarm, that simple. From here we will wake up to the theme song that we have chosen, to change it we repeat the process and choose another different song. 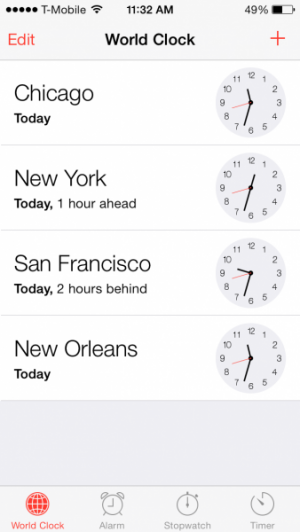 As we said, this feature was already available from iOS 6. This is an interesting trick that is a bit hidden, unless we dedicate ourselves to investigate the ins and outs of the system. With the launch of iOS 7, the Cupertino have given a different air to the system in terms of design, but have also released new features. From our site we are counting tricks that can improve the experience of using the system thanks to small changes.